​emotionally, intellectually and physically at a pace appropriate for each individual. 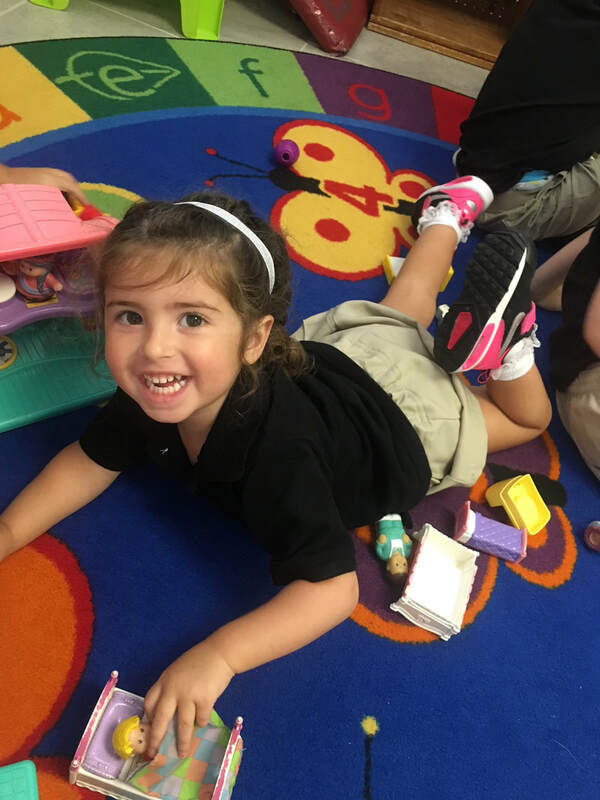 Our Preschool division is designed specifically for young children and their enrichment. Our students are encouraged to examine, explore, and discover. Perceptual and motor developments are promoted by exposure and practiced use of specific materials and equipment. Children are given the opportunity to make choices yet learn to function with a degree of structure. Parents can rest assured their child is maximizing development through quarterly parent teach conferences and through our unique Goal Progress Reporting in addition to the daily exchanges we feel are imperative to each child’s success. ​Welcome To A New Way of Learning!! Our curriculum is often referred to as, “a little bit of everything you may already know brought together in a way you’ve never seen”. 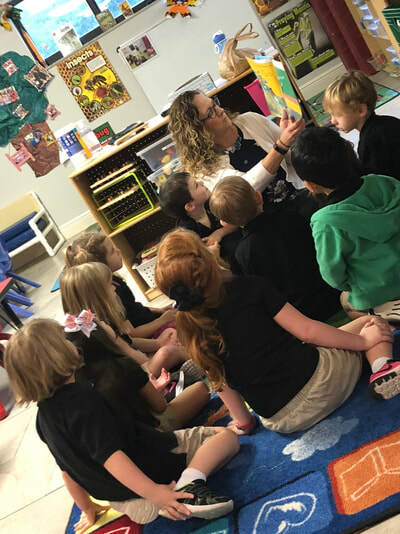 Rich in individualized learning, our proprietary curriculum model has a strong focus on phonics and word recognition and gets its foundation from High Scope and Creative Curriculum Philosophy. Those philosophies are considered by the State of Florida Department of Education to be two of the most developmentally appropriate practices for young children. They involve the use of “work centers” to provide a hands-on-learning environment. Concepts are taught through materials in the centers and small group activities. 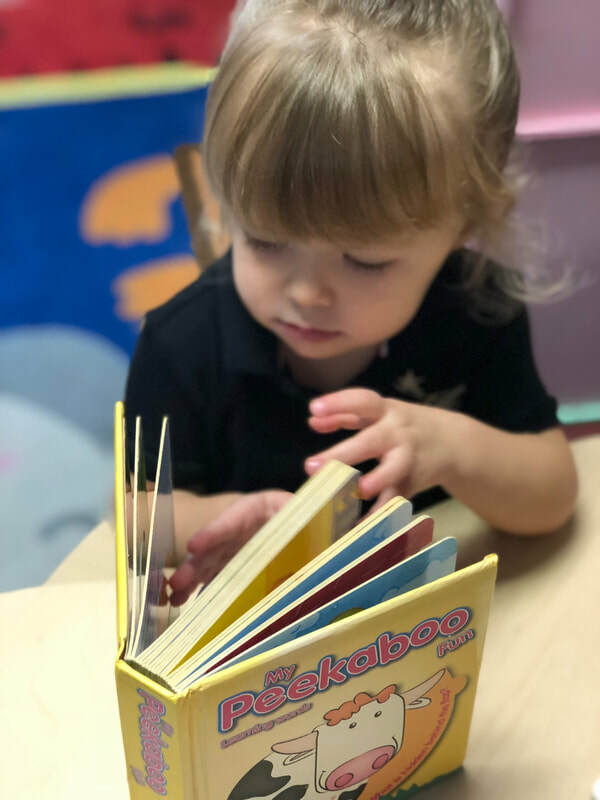 Reading skills and language development are emphasized not only within our dedicated Language Arts classroom, but throughout all your child’s learning activities. In addition to English, Sign Language and Spanish are taught to all our preschoolers. Our math goes much deeper than just number concepts as we lay the foundation for a solid understanding of mathematical function through our dedicated Math Classroom. Our preschoolers love the logic behind not only learning to count, but sequencing, classifying, matching and so much more! Behold the wonder and awe of nature’s phenomena. 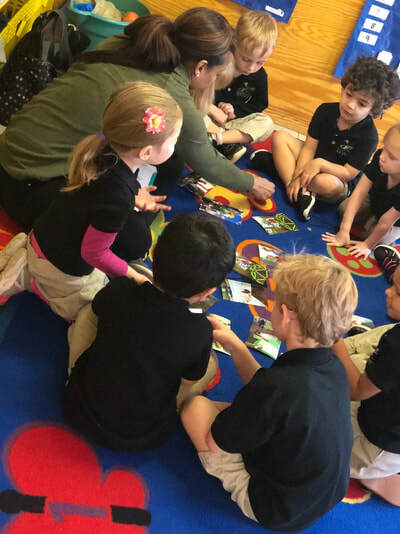 From health and the human body, to our solar system and never, ever to forget reptiles and insects, our curriculum engages children by capitalizing on their innate curiosity for the world around them. Practice make perfect and fine motor skills are best achieved through practice. Our students love the creative ways we involve them in mastery of dexterity. For this reason, art plays a key role in our curriculum tying together fine motor, creativity and often times science concepts! What good is all this “readiness” if you don’t have the appropriate social skills to play with and enjoy your friends? 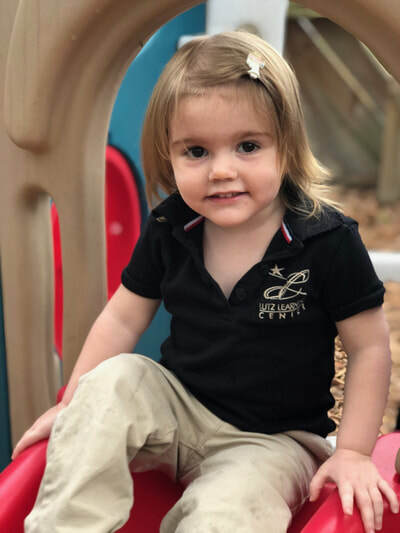 In addition to gross motor skills enjoyed on our beautiful playground, throughout the day we continuously practice personal and social development such as listening skills, self-help skills, and manners. Character is one of those unique human qualities which can only be learned, not taught. The very best way to instill positive character traits in children is to create a habit of intentional acts of character and actively recognize when the child exhibits those traits. In our school each month, we honor one specific character trait and work diligently to guide our students in character growth. We believe emphasizing acts of good character daily leads to good character habits. The school is run with intense passion regarding what is best for the individual child by providing quality education in these formative years. Our goal is to prepare a child for life starting with their right now. or call or text us at (813) 949-3484 to ﻿schedule﻿ your tour today!